Here you can buy all six of the Volumes in this set at a discounted price!! 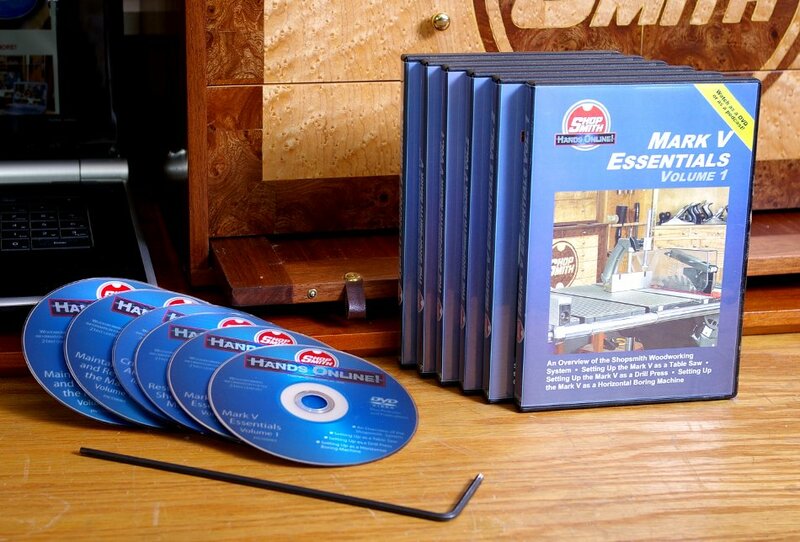 Every Shopsmith Mark V Owner Should Have These Information-Packed Nick Engler DVD Reference Videos In Their Home Shop ! Meet the Shopsmith Mark V Video Encyclopedia ! This collection of how-to DVD/DVD-ROM videos is hosted by Nick Engler, former editor of Shopsmith's original Hands-On! magazine... America's best-selling woodworking author... and Director Emeritus of Shopsmith's National Woodworking Academy. 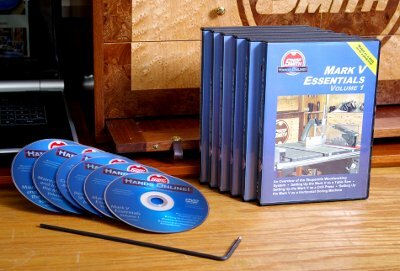 This information-packed collection of six fail-safe, step-by-step videos leave nothing to chance as they lead you through a wealth of valuable woodworking information that will help you set-up, align, maintain and repair your Shopsmith Mark V - then use it to perform a host of woodworking operations more efficiently and more professionally. If you've recently inherited or purchased an older Shopsmith Mark V, Nick's special Restoring Video will help you bring your machine to like-new operating condition and upgrade it from its more primitive 1950's, 1960's or 1970's version into a 21st century edition with improved performance and precision that will help you achieve far more professional-looking results!